The NBA season is winding down and that can lead to a lot of weird nights. Superstars sit. Nobodies play a lot. Teams are in the tank. Teams are resting. So many narratives are out there and the DFS implications are all over the place. Let's take a look at some of the things to concern yourself with tonight. 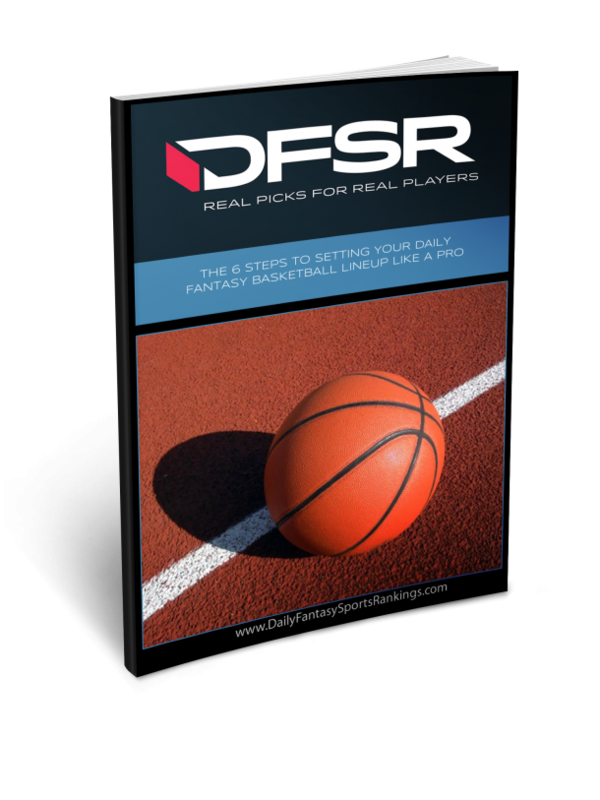 Now’s your chance to get DFSR PRO, which will give you access to our NBA optimizer and our new player lab! Get started for free by clicking the button below. Playing the final week of NBA DFS is borderline psychotic but it's also a great time to make some money. Doing a little bit of extra homework can allow you to succeed big time in this volatile stretch of the season, as these rotations are more bizarre than ever. What's really interesting about this time of year is how much resting is going on. There are numerous teams sitting stud players every game and it opens up the door for tons of value. That's why we're going to stack Lakers here, as they have their four-best players out of the lineup. In such a short slate, it's hard to fade someone like Westbrook. What really makes him intriguing is the fact that we have so many cheap options available. 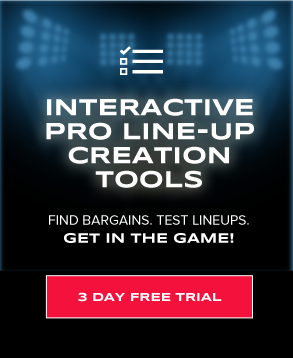 That makes it possible to get multiple studs into your lineup, which may end up being the optimal strategy. Westbrook's numbers speak for themselves, as he's averaging 58 DK points per game while never scoring fewer than 33 fantasy points in any game this season. That floor becomes particularly enticing in this matchup, with Los Angeles sitting fourth in pace and 22nd in total defense. That's evident by the fact that Westbrook is averaging 62 DK points per game in two outings against the Lakers this season. Caruso is not a guy who I thought would ever be in one of my articles but here we are in the final week of the NBA season. His recent form is hard to argue with though, with Caruso averaging 24 DK points per game across his last 10 outings. All of the injuries in Los Angeles have really opened things up for him, with Caruso is averaging 25 minutes per game in that span. He's also providing a 21.4 percent usage rate while averaging 1.1 DK points per game with this roster and he should provide great value in the $4,000-range. Chris Paul is a fantastic value at $7,100 on DraftKings and gets to face a Sacramento defense who owns a 30th OPRK against points guards this season. It's hard to fade Harden on this slate, as he simply has the highest upside of any player. That's evident by the fact that he's averaging 62.4 fantasy points per game. What really makes him an attractive option here is the matchup though, with Sacramento ranking 25th in total defense and third in pace. That was evident on Friday when Harden collected 50 points, 11 rebounds and 10 assists on his way to 85.3 DK points. That monstrous upside is impossible to fade and he should be easy to get into your lineup with so many cheap options available. Anderon's status is very much based on the injury question marks in Atlanta, as he could be one of the best values on the board if numerous players sit out. The laundry list of players to keep an eye on is lengthy, with John Collins, Dewayne Dedmon, Omari Spellman, and Taurean Prince all potentially missing this game. If all of those guys are out, Anderson is a must-use player at this price tag. In the most recent game without those guys, Anderson played a season-high 30 minutes and dropped a career-best 50.5 DK points. That's 12X value at this price and that's obviously ridiculous. DeMar DeRozan should have success against a Hawks team who ranks dead-last in total defense. Revenge game narratives are always risky but its a lot easier to follow when it comes against a bad team like the Lakers. In two games against his hometown team, George is averaging 54 DK points per game. That should be no surprise when considering the aforementioned defensive numbers from the Lakers. George comes into this matchup rolling too, scoring at least 51 fantasy points in six of his last nine games. All that makes George a nice value in this price range and he's a great pair with either Westbrook or Harden. With Lonzo Ball, Kyle Kuzma, LeBron James, Josh Hart and Brandon Ingram all expected to miss this game, it's dance time with Lance. With those four off the floor, Stephenson is one of the team leaders with a 23 percent usage rate. That alone makes him worth a shot, as he should be looking at 25-30 minutes here. Getting those minutes is all that really matters for someone like Stephenson, who's averaging a fantasy point-per minute. That's why his projection is in the 25-point range and that would make him a huge value south of $5,000. He comes into this matchup playing well right now too, scoring at least 20 DK points in five of his last seven games. If you don't want to use Harden or Westbrook, Kevin Durant is a great top-notch option in a must-win game. Using the oppositions best player against Atlanta is always profitable. The reason for that is because of their defense, with the Hawks ranking dead-last in total defense while playing at the fastest pace in the NBA. That's a fantasy owners dream and it should allow Aldridge to go off here. In addition, Atlanta owns a 29th OPRK against opposing power forwards according to DraftKings. Not only is Aldridge averaging 51.4 DK points per game across his last four outings, he also dropped 48 fantasy points in his last game against these Hawks. Grant simply remains too cheap on these DFS sites, as he's playing at a $6,000-level. In fact, Grant is averaging 26 DK points per game for the season, which alone puts him at 5X value. That makes him worth using but this matchup is the icing on the cake. Not only does Los Angeles rank fourth in pace, but they also allowed Grant to score 27.3 DK points in their last meeting. That should be no surprise from an athletic player like Grant, who should produce no matter what at this blistering pace. If Marvin Bagley suits up, he's a great option against the Rockets with his recent play. All of the injuries in Los Angeles have definitely opened up a huge role for Wagner, as they should give him big minutes across the final week. In two starts this season. Wagner is averaging 28 DK points across 31 minutes per action. That alone is approaching 9X value, as he's easily one of the best bets on the board to reach 5X value. With those five players off the floor, Wagner is averaging 0.9 fantasy points per minute while posting a 25 percent usage rate. While our projection may be lofty, any player with an 8X projection is worth a shot, especially when you need to get guys like Harden, George and Westbrook into your lineup. With Dedmon out for the season, Len should start at center in his absence. Minutes are all that matter for a guy like Len, as he's averaging 21.3 DK points per game across 19 minutes of action. That means he'll provide about 1.3 DK points per minute, which is huge from a guy who should play at least 25 minutes. That means we're looking at around 30 fantasy points, which would give him 6X value at this price tag. Facing San Antonio is not worrisome either, as they currently rank 21st in defensive efficiency. Steven Adams is averaging more than 40 fantasy points per game in two matchups with the Lakers this season and remains below $7,000 on both sites. I’m no rocket scientist but could it be possible that at the time of his writing of this article that the only prices he had were from yesterday? If you are not a rocket scientist then we really don’t need your opinion here. This is the official rocket scientist fantasy sports list. Please move along!